SP Scientific has announced its Fall 2017 program of LyoLearn™ webinars. The LyoLearn™ program of free educational webinars, delivered by industry experts, are devoted to lyophilization, freeze-drying and related topics. Attendees to each of the live sessions are encouraged to ask questions of the presenter and get their answers in real time. On 26th September 2017 at 9:00 and 13:00 Eastern Time, Timothy R. McCoy of Genzyme will present 'Lyophiliser Sublimation and Heat Transfer Modelling' an informative webinar covering the basic principles around heat and mass transfer related to freeze drying. In addition, the presenter will describe an industry case study at lab and manufacturing scale, demonstrating the approach and application of the model to scale up. The Freezing Stage in Freeze Drying: Fundamental Concepts 2.0 a webinar presentation will stream on 25th October 2017 at 10:00 and 14:00 Eastern Time. 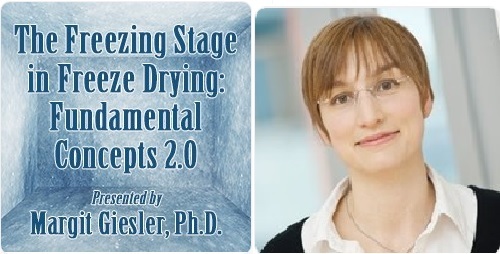 Presented by Dr. Margit Gieseler of GILYOS GmbH, this webinar aims to provide an update on the current scientific state, covering both the basic principles of freezing in a freeze-drying cycle as well as the recent developments with regard to control of the freezing stage.